Langlois Pianos offers something rarely found in today's world: insight and craftsmanship refined through five generations of a family's dedication to a single trade. 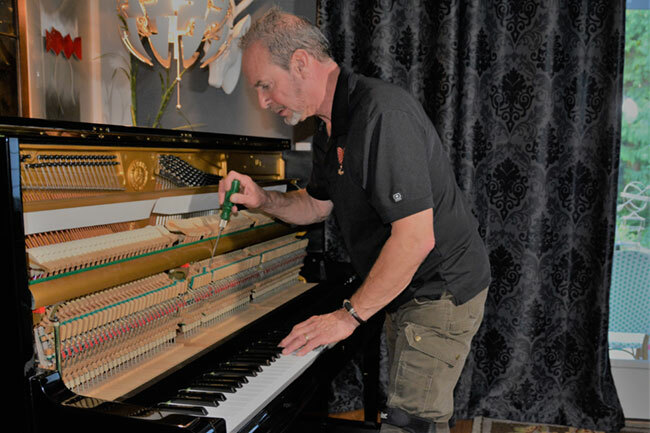 Ira T. Langlois III is a Master Technician who understands each intricate detail of how the piano functions. He "hears" the harmonies a piano should create when allowed to perform at its best. Ira appreciates the instrument's history and the profound effect it can have on those who play...and those who listen. Technical capabilities extend far beyond basic tuning to include piano repair, complete rebuilding and refinishing services for all pianos.